Silver and 18k Gold Traditional Celtic Cross handmade and hallmarked in Dublin. 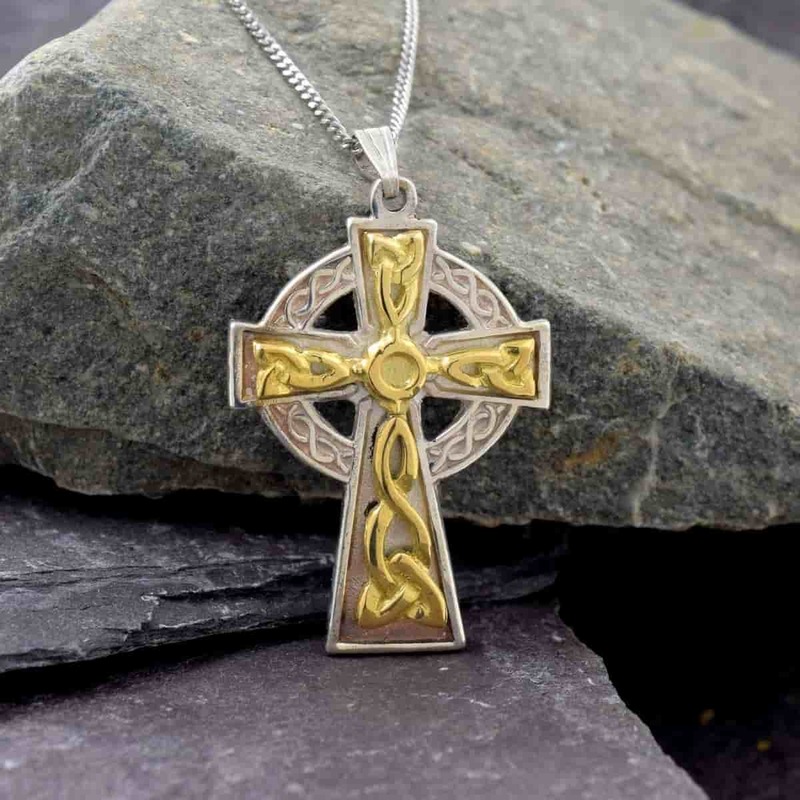 This stunning Celtic cross is in sterling silver with 18K gold accents. A beautiful modern combination of precious metals. Measuring 33mm high and 21.5mm wide this Celtic cross weighs 5.6grams and comes fitted with an 18inch sterling silver chain. Handmade and hallmarked in Ireland.